Well most of you know that I volunteered to compile the spares list for the 10CR. Sorted a very good response from all who enabled me to compile a great big list for everyone. I have learnt a few things one being to email everyone a list instead of printing them; it took an hour and over 1100 A4 pieces of paper. So bugger the car was towed away and Neil and me waited for Footman James to decide if the car was to be recovered to the UK or not! 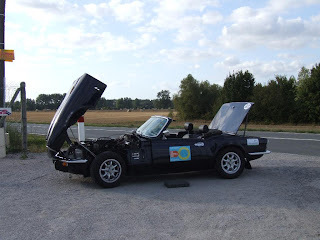 After 19 hours we had a hire car and were on the catch up to meet up with the 10CR crews at Bezier. 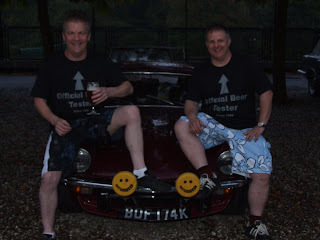 After catching up with the crews after a 1000km dash in 8 hours averaging a better 65mpg in the hire car, we met up with everyone for a beer before bed. The next day was sublime as the French roads were superb up to Italy and Switzerland into Germany. 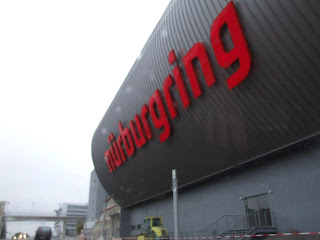 A brief stop at the Nurburgring (no laps in the hire car) and we were off again to carry on with the run. Sticking with Steve and Gary (Car 8) we had a decent few days driving and a great night at Rouldec, Up early next day and a dash to the ferry where we dropped one hire car off and travelled over as foot passengers where we picked up another hire car and home. 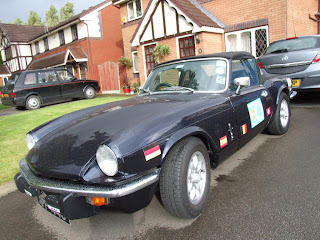 I would have liked to finish at the Plough but being totally miffed at the lack of Triumph decided to make our way back home which we did from Dover in 4 hours. 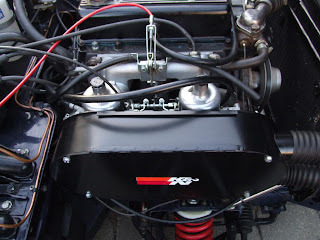 I got the Spit back a week later and it did take me a fortnight to even lift the bonnet to see what was up with the engine, as I feared the worse. 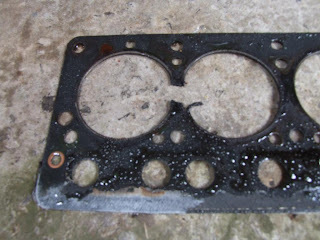 Well on inspection it was just the Head Gasket, which miffed me a little more as I took a spare and a Torque wrench with me! Well you live and learn as they say. One final note a BIG THANK TOU to Ellis Stokes and all involved in organising a great event, I look forward to 2012 but I hope there is more nights over and less motorway!